Say a prayer for the citizens of Illinois this evening. Gov. Pat Quinn today called for a 33 per cent increase in the state income tax rate to raise money for education and ease deep cuts he’s proposed in his new budget plan. 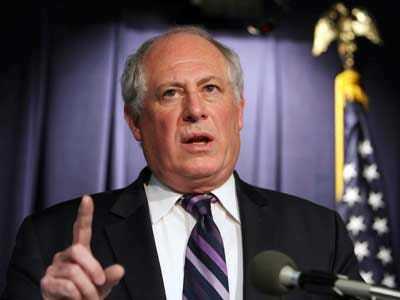 In his short budget speech to the House and Senate, Quinn argued that an income tax “surcharge” would be enough to restore Illinois’ education budget to current levels and allow the state to get caught up on some of the millions owed to public schools, community colleges and four-year universities. Quinn wants to increase the personal income tax rate from 3 per cent to 4 per cent — a 33 per cent increase — with the corporate tax rate rising from 4.8 per cent to 5.8 per cent. The tax hike would bring in $2.8 billion a year.